Bon Appetit magazine is one of my favorites and I’ve been following their editor-in-chief, Adam Rapoport on Instagram for a little while now. 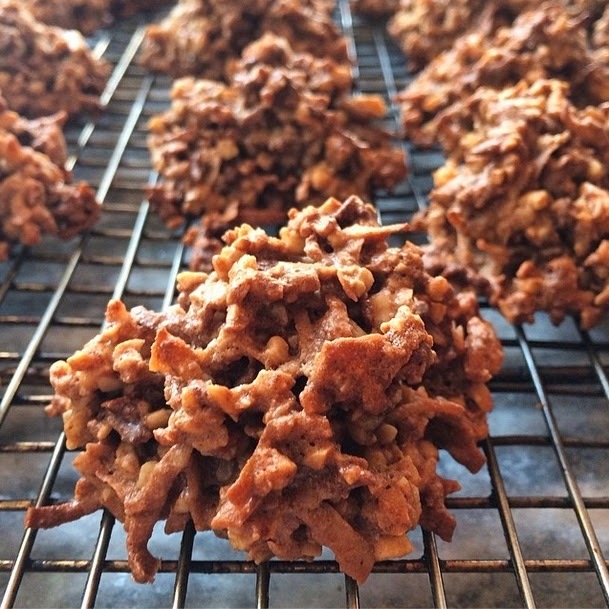 A couple of weeks ago he posted these chocolate coconut macaroons along with the simplest sounding recipe. Melt 3 oz semi sweet chocolate. Beat 3 egg whites. Fold in 8 oz slivered almonds ground up in a food processor and 3/4 cup sugar. Then fold in melted chocolate and 7 oz bag of sweetened shredded coconut. Spoon on to baking sheet covered with parchment, bake about 20 mins at 350.